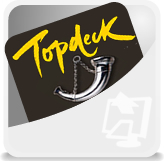 Top-Deck Travel are transferring their message board to our "Virtual Forums" system. We now have a big job in writting a new forum convertor to convert their data into our structure and to ensure we don't lose any of their search engine positions. They have chosen Virtual Forums because of its Search Engine Benefits. Every aspect has been coded to encourage spiders to crawl and index the site. This is a proven method as it is being successfully used by the Surrey-Online Forums.